I have some originals somewhere, I'll have a look and post up some pics when I find them. If you find them would you be willing to sell me one? I would be for the right price. I am busy with a custom Harley, Porsche Designed Engine, build at the moment but will dig them out and post some pics when I get a chance. Holy Sh!t Dom B that is a monster...more pics and specs please! Used to live in the hometown of HD and have always have a soft spot for them, and the sound they make. So these are the stickers from ebay. I only bought the square on and have no idea what the other one is for.....quality wise they look great. I have one of those too but it is much smaller than the tatty one I am looking to replace. 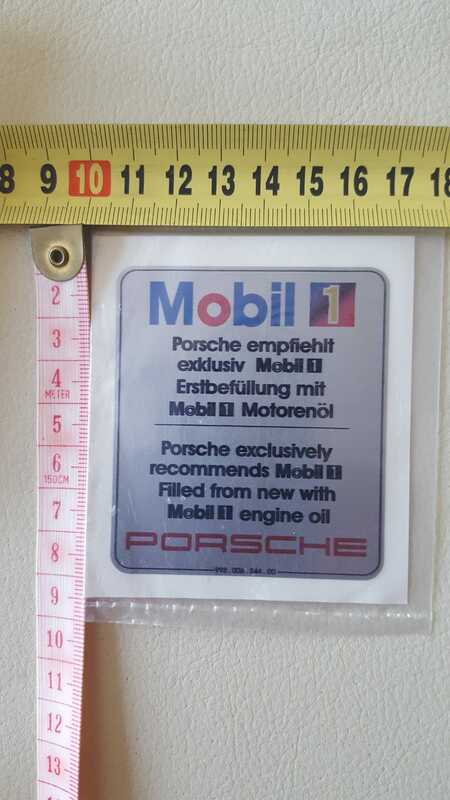 Car-bone definitely have them as I spoke to them at Rennsport Reunion last week about this actual sticker!! Unfortunately they were unable to have it on display in case the Porsche legal eyes (employed to preserve the "purity of the brand) saw it !! I think isaydingdong have taken the sticker down too for the same reason. The ding-dong people do have them. Before I order another in the wrong size....can someone tell me what size the sticker should be? And for a 1995 model year should it be silver or white background? This is the one that I got from ding-dong, mine is a 1995 model but can't help you out with the silver or white background issue, to be honest didn't know that there was a difference. 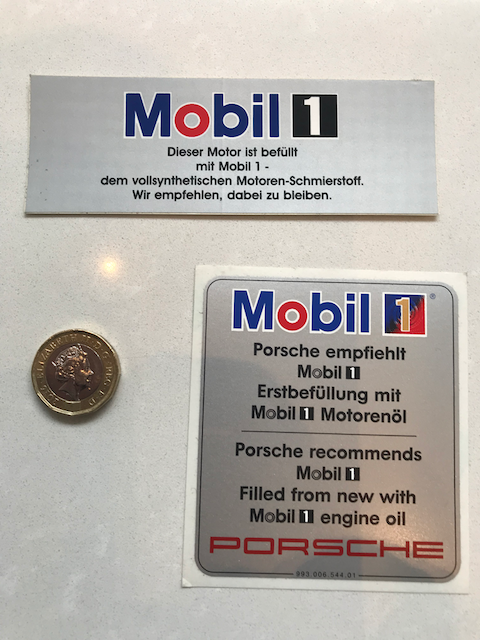 The second pic is of the one I have on the car at the moment and this came directly from Porsche Germany it's for a 997 and is 7 cm x 7 cm. Great - Thank you. It would seem the one I got from ebay is 7cm x 8cm so thats what I'll stick with and stick on the car. 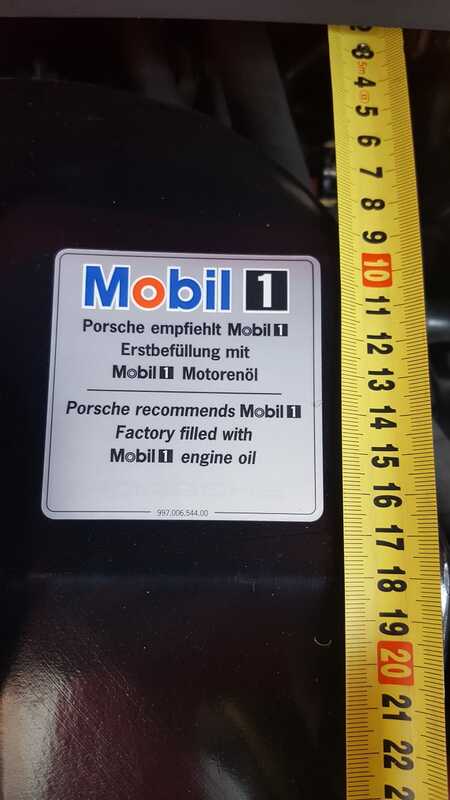 The 993 does not have the "small sticker"....it has only the one (large) sticker as shown in the previous photos and prefixed with the 993 part number. Now here’s the great thing about owning an early 993.